In the spirit of giving back and making our community a better place to live and work, RASM is partnering with several deserving area organizations to offer volunteer assistance and financial aid. 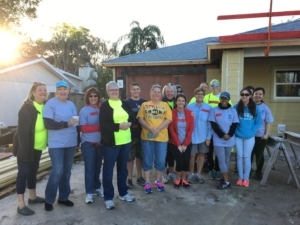 Each year, the RASM Community Outreach Committee selects community projects to partner with. Feeding Empty Little Tummies (F.E.L.T.) is a local, non-profit charity. The organization is designed to meet the nutritional needs of Manatee County’s homeless school children during the weekends. RASM serves as a drop off location in both the north (10910 Technology Terrace) and south offices (2320 Cattlemen Road). October Drive – Help us collect the following items during the month of October! Bring to the next MLS Express meeting to show your support!